In 2010 we (at South Highland Presbyterian Church, Birmingham, Alabama) learned of the need of a better quality of drinking waterin and around the rural community of Inkukuon about 50 kilometers south of Nairobi Kenya. The bore hole (water well) at Presbyterian Church of East Africa Grace Church produced water that had a little E.coli, Salmonella, some salt and a high level of fluoride. Other than bottled water, this was the best water available locally. A group of us committed to provide a water purification system provided that the church would construct a secure building and operate the system to meet the Living Waters For The World (LWW) requirements and to comply with Kenya Bureau of Standards regulations. 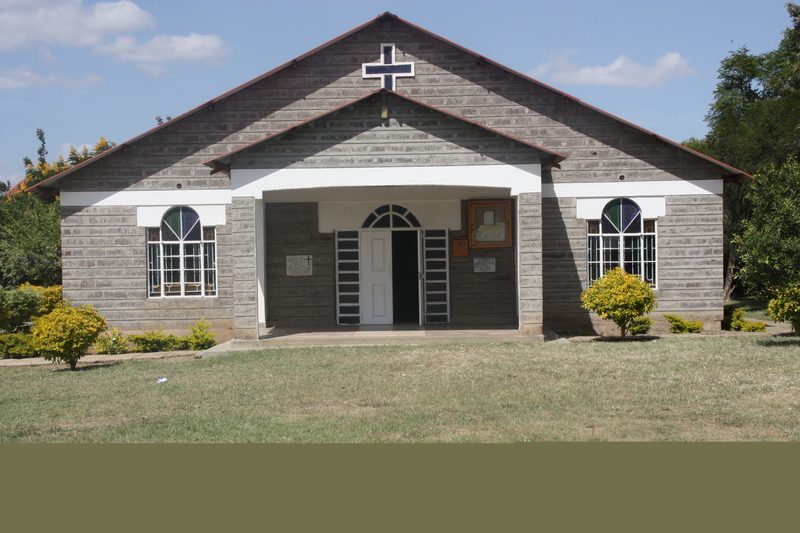 Grace Inkukuon is located in Maasai country.The Maasai people are among the last in East Africa to become Christian and are a major part of the Presbyterian Church of East Africa mission effort. This water project would be a part of the Christian outreach of Grace Church. By 2011 Grace Church had begun the building and South Highland had begun raising the money for a water purification system. This process has taken six years. Finally in 2016 both parties are able to complete the project. Prior to going to Kenya we planned to have a successful trip. In addition to e-mailing the steps that needed to be accomplished, Harold Deason researched the vendors in Nairobi that provided the needed equipment. Lee Cleveland arranged to be able to wire transfer money from South Highland’s bank to Grace Church’s bank in an account set up for the water system. Finally on Feb 24 at 12:36 PM we, Harold Deason, Lee Cleveland and Jim Price, flew from Birmingham to arrive in Nairobi 23 hours later at 8:15 PM on Feb 25, having experienced a nine hour time shift. We were met by Dr. Chris Ndei and a delegation from Grace Church and taken to a Lutheran Guest house for supper, sleep and breakfast. The next day Lee set up the banking arrangements, Harold got our Safaricom phone activated and made appointments with vendors for Monday. Jim went back to the airport to retrieve his late arriving luggage. We all met at the Kenya Bureau of Standards to pay for and receive a current water test. After lunch at the Galleria we bumped our way south to Grace Church over roads with so many potholes that we averaged about twelve miles per hour. Lee and Harold stayed in the home of Dr. and Mrs. Kimani Chege. Jim and Chris stayed in the home of Rev. Dr. Jesse Kamau and his wife. We were very well fed and cared for. On Saturday we met with the Grace Church water committee and discussed the things that needed to be done to develop a business plan and the things that needed to be done in order to complete the water system. With all in agreement we had lunch and were taken to a local Ostrich farm and resort. Along the way we were shown where the Church members had piped untreated water to the nearby village of Inkukuon and were selling it there. Sunday: We were all given parts in the morning worship service. Jim introduced our group and explained why we were there then prayed for the children after they sang. Lee spoke the prayer for the offering and Harold read scripture. We all spoke in English and were interpreted into Swahili. Most but not all Kenyans can speak English. The electric power went off in a song in the service. A drum beat was immediately begun to replace the electronic keyboard. Monday: We bumped back to Nairobi to meet with three vendors. The vendors agreed to email proposals to us on Tuesday. The journey took so long we were in the dark for most of the trip back to Grace Church through all those potholes. Tuesday: We met with a fourth vendor and began collecting itemized quotes for their services. We had required the quotes to include the installation of equipment, training of operators, and support for at least one year. On the way back to Grace Church we visited a very successful water bottling system operated by a Presbyterian Church. Their manager, who is highly knowledgeable, has become part of the Grace Church Water board and was a good source of guidance. On Wednesday, we and the Grace Water Board evaluated the proposals and chose Trans-Africa Water Systems LTD to be the vendor. We contacted Trans-Africa and made an appointment for their representative to meet us at Grace Church on Thursday. Finally on Thursday, the Trans-Africa water treatment manager came to the church, did a site survey and a purchase agreement was signed. A down payment was made. Assembly of the equipment will take 4 weeks to complete. Installation and training will take another 2 weeks. Following approval of the Kenyan water regulation authority, Grace Church can begin bottling and selling water. Our last major task with this project is to return in late May or June for dedication and training on how to use and maintain the purified water.